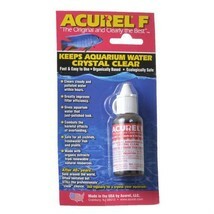 Fast-acting and easy to use, Acurel F clears cloudy, green or polluted water within hours of application. It combats the harmful effects of overfeeding and improves filter efficiency, resulting in a crystal clear environment for your fish. 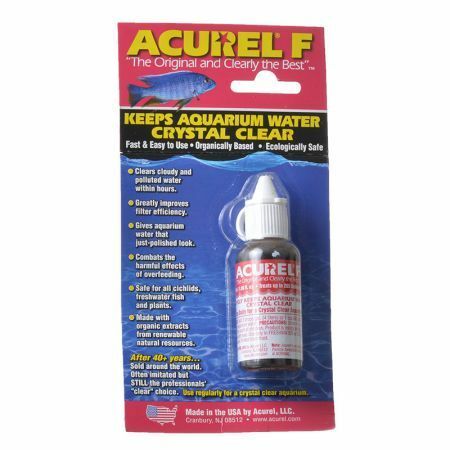 Safe and effective, it will not disturb the beneficial bacteria in biological filtration systems of healthy established aquariums. Acurel F is MADE IN THE U.S.A. with organic extracts from renewable resources. It is safe for all freshwater fish and plants, and environmentally friendly.